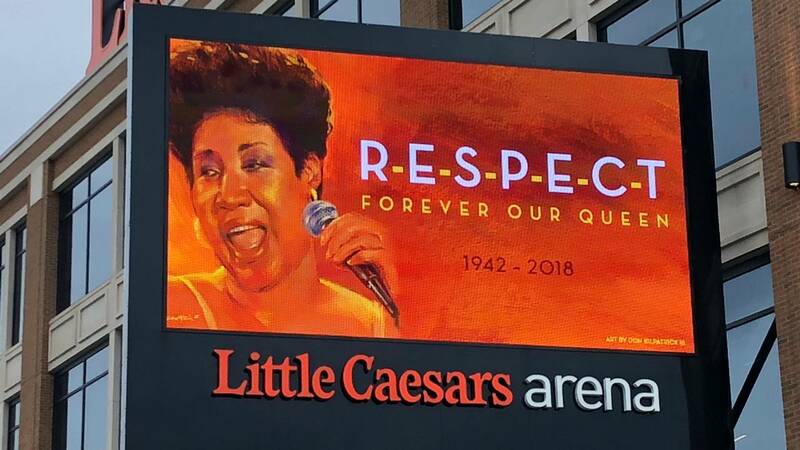 DETROIT - The most iconic people and places across the world have the Queen of Soul in their thoughts Thursday. Memorials have been mounting at her star on the Hollywood Walk of Fame. The marquee at the historic Apollo Theater in Harlem, where she performed many times since the 60s, reads "Rest in Peace Aretha Franklin, Queen of Soul." It's difficult to put her worldwide impact into words. Her influence affected musicians of every genre. Paul McCartney, Elton John, John Legend, Smokey Robinson, Bob Seger, Gladys Knight, Britney Spears and more have spoken of her passing. President Donald Trump opening a cabinet meeting Thursday with thoughts on Franklin. "She was given a great gift from God," Trump said. "Her voice." Franklin performed at multiple historic venues and events, including President Barack Obama's inauguration. It's no surprise the former president shared his thoughts in a tweet on the late icon.